These are comments, kudos and reports we've recieved from readers of Fifty States' License Plates. We drove from Little Rock to DC via N. Carolina. July 13 - 25. 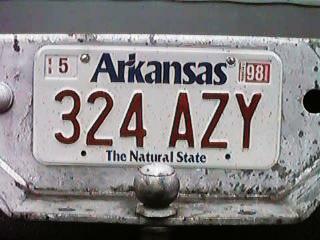 We saw 48 license plates, even Hawaii much to our surprise, but no New Mexico or North Dakota -- Susan.